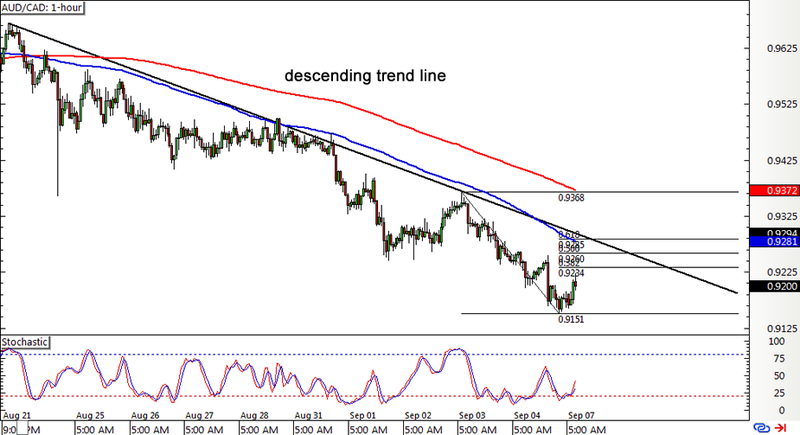 Here’s a textbook retracement setup on AUD/CAD’s 1-hour forex time frame. The pair has been trending lower, moving below a descending trend line connecting its recent highs. Price seems to be pulling up from its latest dive and might make another test of the trend line, which coincides with the 100 SMA. Apart from serving as a dynamic resistance level in the past, this short-term moving average is also treading below the longer-term 200 SMA, indicating that the downtrend is likely to carry on. Applying the Fib tool on the latest swing high and low reveals that the 50% to 61.8% levels line up with the trend line and a broken support area. Stochastic is still pointing up for now, which means that sellers are taking a break and allowing buyers to take control. Reversal alert! 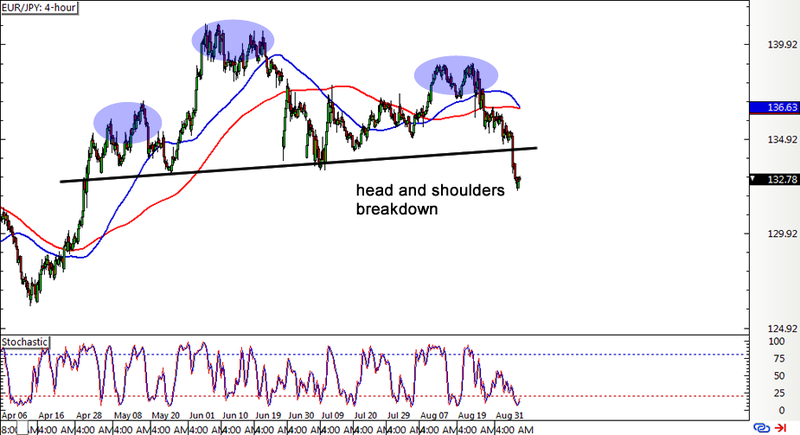 EUR/JPY just broke below the neckline of its head and shoulders forex chart pattern on the 4-hour time frame, indicating that a downtrend is in the cards. The moving averages look ready to make a downward crossover to confirm the potential selloff, but stochastic is just starting to move out of the oversold region. This suggests that a quick pullback to the broken neckline near the 135.00 major psychological mark might happen before EUR/JPY resumes its drop. Note that the chart formation is approximately 600 pips tall so the resulting selloff could last by the same number of pips or until the previous lows around 126.50. If you’re just looking for a simple range play, then you might wanna keep close tabs on this forex setup on EUR/GBP’s 1-hour time frame. Price is edging closer to the top of the range around the .7375 mark while stochastic is indicating overbought conditions. 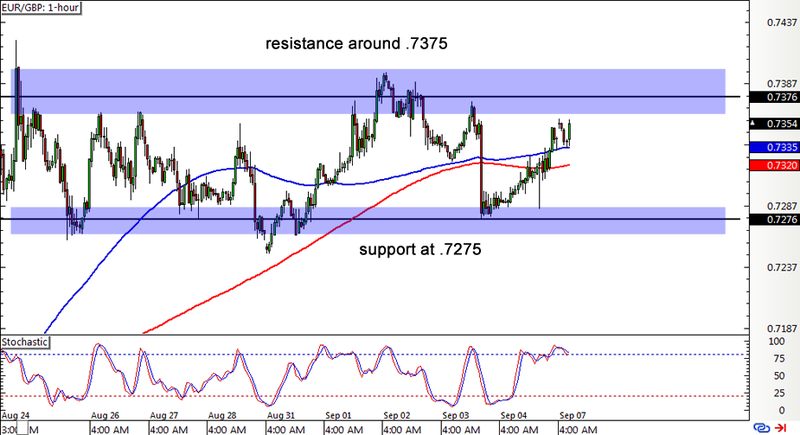 If this area holds as resistance once more, the pair could head back to the bottom of the range around the .7275 level. Take note, however, that the 100 SMA is above the 200 SMA so the path of least resistance is to the upside. If you think it’s about time for a breakout, you could wait for a long green candle to close past the top of the range before going long. Keep in mind that the rectangle is a hundred pips in height so the resulting breakout could be of the same size.